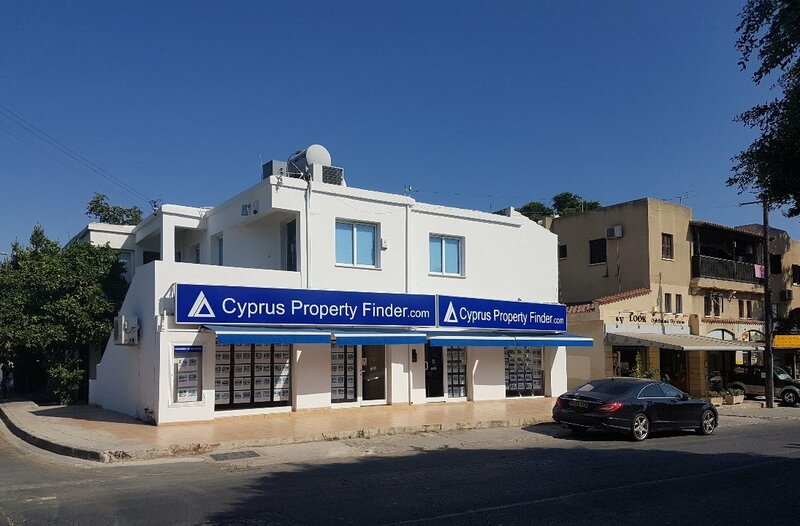 Cyprus Property Finder is the trading name for Nicholas & Tsokkas Property Finder (Cyprus) Ltd. Due to the founders individual and joint financial / business expertise and backgrounds, have led this well established company to being recognized as one of the most successful in Cyprus. Indeed, so successful, that we won the Invest Abroad Award in 2007 (awarded by the Directors of the Business & Commerce Today publication) in recognition of our OUTSTANDING SERVICES delivered to both investors and buyers in the Cypriot Property Market. We have a simple mission: To provide our VALUED CLIENTS with the BEST HOME, in their DESIRED LOCATION, within THEIR BUDGET at the BEST VALUE FOR MONEY POSSIBLE. We do this by working side by side with our clients and using our local knowledge and experience to ensure your expectations are fully met. To help ensure this we use our vast experience of the local property market and clients are only ever shown either NEW properties (e.g. off-plan) from Developers that we personally know and trust and who offer Good Value for Money or RESALE properties that we have personally inspected. We are one of the leading real estate agents in Cyprus with over 40 years of experience. During this time we have built a reputation within the community. We have a lot of experience in the Cyprus property market. We use our experience to help clients from all over the World. We will sit down with you, listen to your needs and offer advice and suggestions as necessary. Our wide knowledge of what is available is at your disposal. And once we have determined your needs in terms of location and type of property, we will show you a range of properties within your budget – and all of this for FREE! Friendly Agents to deal with. As you would expect from such a well-established and successful Real Estate Agent, we can do MUCH MORE than help you to find your DREAM HOME. We have staff who speak English, Russian, German and, of course, Cypriot. Property exhibitions throughout various parts of the UK and in other countries (e.g. Russia) allow us to maintain close contact with existing clients and help us to develop new ones. Our extensive portfolio of properties range from existing apartments, penthouses and townhouses to luxury custom-built villas or we can introduce you to developers and off-plan properties; and we can even help with finding the perfect plot of land on which to build your dream property. Education and Religion:- Cyprus has a high standard of education. Schools and Universities still function with a high level of discipline. The island has several International Schools and also Paphos has a high standard at the International School in the city. The main religion on the island is Greek Orthodox. The island is covered with the most beautiful, picturesque, and historical buildings and also newly built churches. International Relations:- Cyprus is a member of the United Nations, the Council of Europe, the British Commonwealth and also a member of the Non-Aligned Movement. Cyprus is Member of the European Union. The location in the far end of the Mediterranean Sea, guarantees Cyprus a unique climate because it is out of reach of the cold and wet influence of the Atlantic Ocean. Springtime starts during February and autumn stretching till mid-December and the winter is comparable to a mild and lovely European spring, Cyprus enjoys the best Mediterranean climate with more than 340 days of suns.